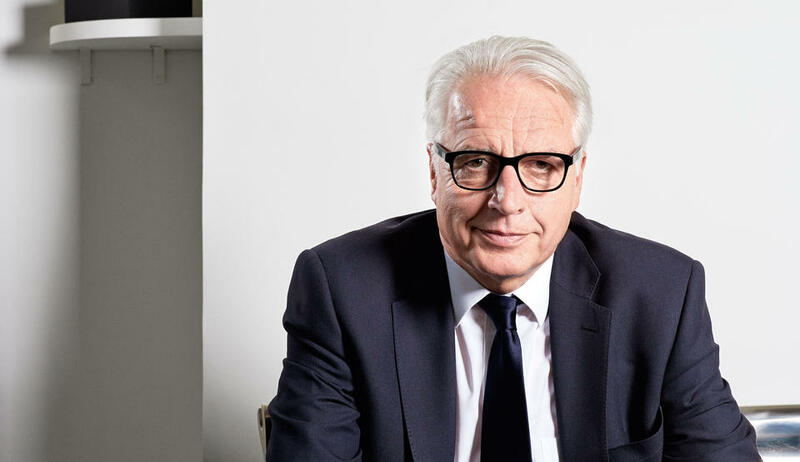 We’re excited to announce that Martin Roth, director of London’s Victoria and Albert Museum, will join us on 5 October to officially open MPavilion 2015. Martin took the directorial reins at the V&A in September 2011, continuing a distinguished career of involvement in museums, galleries and arts research that has included a ten-year position as director general of the Dresden State Art Collections (Staatliche Kunstsammlungen Dresden) and a presidency of the German Museums Association (from 1995 to 2003). A trustee of the British Council and the Musée des Arts Decoratifs in Paris, he is also a member of the Council of the Royal College of Art and the Court of Imperial College in London. While at the V&A, Martin has worked closely with AL_A, the London-based studio of 2015 MPavilion architect Amanda Levete on the museum’s highly anticipated expansion—including a new subterranean gallery space and courtyard entrance on Exhibition Road. We spoke to him about AL_A’s vision for the project, and the brief for this year’s MPavilion commission. Press play on our video interview below to hear more about the V&A design, and Martin’s take on “a better bridge between Great Britain and Australia”. Martin’s Melbourne visit will coincide with the spectacular V&A exhibition David Bowie is—with education programs supported by the Naomi Milgrom Foundation and showing at ACMI from 16 July to 1 November. At MPavilion, he’ll join a line-up of leading architects, designers, researchers and curators as part of our second season’s MTalks series. Stay tuned!